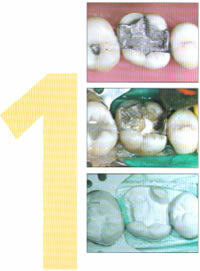 The defective filling and decay is removed. A reflective powder layer prepares the tooth for imaging. An optical 3D is acquired with a small camera, directly in your mouth. The restoration is created on the screen using the image data. Diamond coated instruments mill a ceramic block to reproduce the design. This is accomplished during a single appointment using Computer Aided Design/Computer Aided Manufacture (CAD/CAM). After polishing, the new restoration fits precisely. A unique light hardens the bonding material, uniting porcelain and tooth. Polishing or glazing ensures a pleasantly smooth and natural feel. The color and appearance make the special ceramic material blend with your tooth. Perfectly bonded porcelain ensures an extremely long life for your teeth. The individually manufactured ceramic will be fitted exactly. Depending on severity, the whole procedure will last between one and two hours. For more heavily compromised teeth, a traditional treatment has been a crown restoration, which can take several separate appointments. 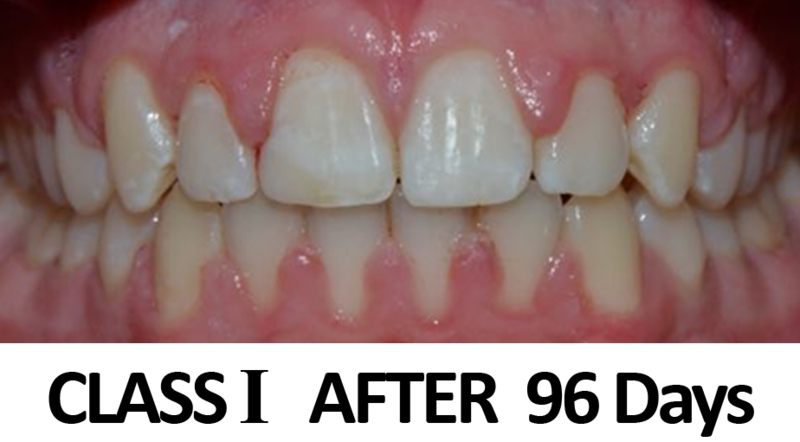 Using the CEREC method, crown restoration is completed in a single appointment. No impressions, no temporary crowns – no need for a second injections. A treatment time of one to two hours is normal. 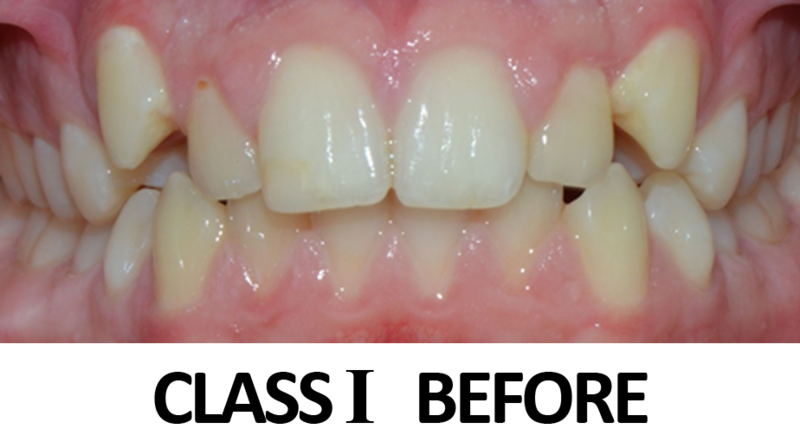 Malpositioned and discoloured teeth can be restored with porcelain veneers. Your tooth is adjusted and a thin layer of porcelain is bonded securely to your tooth. Perfect looks, perfect fit makes a wonderful, natural smile – all in a single appointment. ClearCorrect is the clear and simple alternative to braces. No wires. No brackets. No reason not to smile. Just a series of clear, custom, removable aligners that gradually straighten your teeth as you wear then, each aligner moving your teeth just a little bit at a time. The process starts with your dentist who takes your impressions, x-rays, and photos, and sends them in with a prescription form. ClearCorrect manufactures your aligners per the precise instructions provided and then sends them back to your dentist. Let’s say these lines are your teeth. You wear your first aligner and it moves them a little bit. Then you wear your next aligner and it moves them a little bit more. You continue wearing your aligners under the supervision of your dentist and you eventually get straight teeth. Your lifestyle is important to you and so is your smile. So why should one cost you the other? With ClearCorrect, it doesn’t have to. ClearCorrect is practically invisible–most people won’t even notice you’re in treatment. It’s comfortable–no cuts or scrapes like with braces. It’s removable–eat what you want, then brush and floss. It’s flexible–schedule appointments to fit your life. It’s affordable–comparable to braces, even less than other treatment options. Whether it’s minor crowding and spacing or a more severe case of malocclusion and misalignment, ClearCorrect can help you straighten your teeth and achieve your best smile, one aligner at a time. See for yourself what it can do. 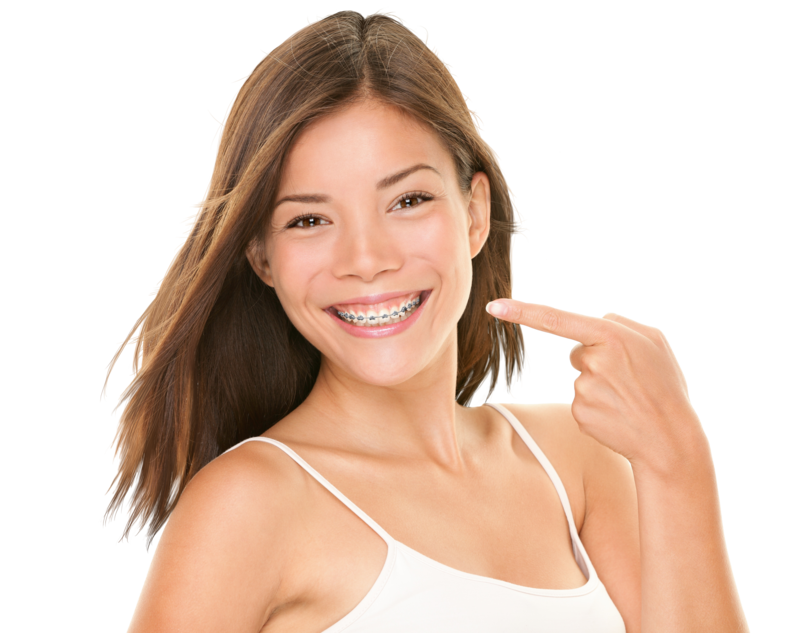 ClearCorrect has the advantages of braces without the limitations of other aligner systems. It’s clearer and easier to keep clean, with better control for your dentist and better results for you. 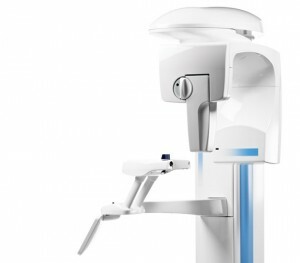 The PROMAX is an advanced imaging machine for Dental X-rays. It is the most convenient, pain-free option for our patients. 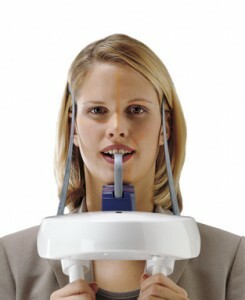 Say goodbye to those annoying, painful in-mouth X-ray procedures! Our practice uses the most up-to-date technology to ensure our patients are provided the greatest care. 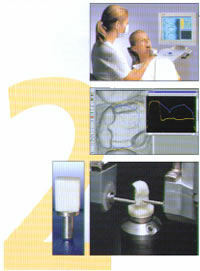 A complete maxillofacial imaging system. 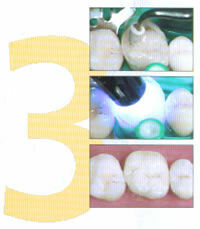 For more information on PROMAX, click here. Time is a luxury for both the patient & the doctor. Once one experiences luxury in life, it’s hard to go back to the ordinary. The unattainable luxury of measuring time in days in orthodontics is now becoming a reality. FASTBRACES® Technologies, a true American original now in over 50 countries, is celebrating its quarter-of-a-century anniversary of providing products that help dentists and orthodontists straighten teeth. Teeth are crooked because they didn’t erupt properly and came in tilted, sideways, overlapping or spaced apart and, as a result, they are not upright and straight. FASTBRACES® Technologies high performance bracket systems upright the roots of the teeth from the beginning of treatment with just one square wire by torquing and tipping them from the very first appointment. Treatment time for non-surgical comprehensive orthodontic therapy should take more than 120 days with the FASTBRACES® CLASSIC™ SERIES and could take less than 120 days with the FASTBRACES® TURBO™ SERIES, depending on the patient cooperation and clinical experience of the treating doctor.